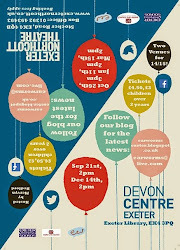 But - we do have news of new dates. We're very excited to be staying at the Northcott for some more dates whilst also hopefully venturing into other new venues over the course of the next season. 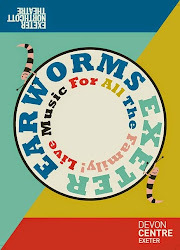 We took quite leap into the unknown when we moved Earworms from the Phoenix to the Northcott Theatre in January but we've been delighted by their support and professionalism and also by the growing following. Financially we took a huge risk, but by the skin of our teeth we've just about broken even - thanks in part to some generous sponsorship from Crosse & Crosse and JojoMamanBebe. So we've decided to take another risk and plan some more dates. We're moving away from monthly dates - the huge administration task is unsustainable at the current rate and we feel we need more time between events to plan and to publicise well. So we'll be planning six dates between September 2014 and May 2015. In order to guarantee that we can continue to offer the quality of performers and ensure we can cover the costs, we now need to work hard to attract some sponsorship. 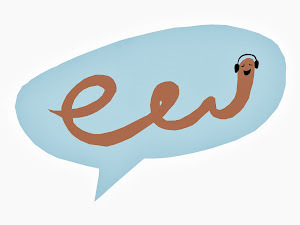 Thank you so much for all your support so far - we're really looking forward to building the Earworms' audience even more and we're beginning to plan some really great performances for the coming season. Please pass the word around to any companies you think might be able to support us - there are some fabulous performers out there who we would love to invite, but we need to have the funds to be able to do this! 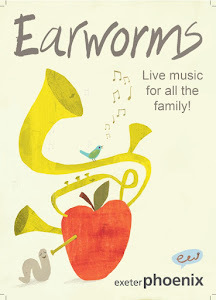 At 2pm on Sunday, Solarference will be live, on stage, at Exeter's Northcott Theatre with a concert specially prepared for Earworms family audiences. Solarference are making adventurous music that marries the newest technology with songs that are often centuries old, and it makes for a fascinating musical journey. The centre of Solarference are the wonderful voices of Nick Janaway and Sarah Owen. Sarah is known to large numbers of singers of all ages across Devon and beyond through her work as a Community Musician with Wren Music. Nick and Sarah sing traditional songs of England and Wales, often learned by oral tradition or from archival research. The new bit is the rest of it. Solarference love to play with sound, and find sounds in the unlikeliest of things. You might expect them to turn up with stones, guitar, musical boxes and rolls of sticky tape. The sounds of these objects and instruments are played live, then fed through intricate computer code to weave textures, beats, echoes and harmonies together with the voices. This is really musical storytelling, with the songs and their stories at its heart. For a taster of the Solarference creative process, have a look at this short video. ...and, what better treat for Father's Day? We'll be there, with our dads. See you there! 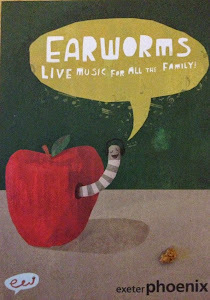 We have Solarference performing for us at Earworms on June 15th. Here is a little more information about them. Tickets are on sale through the Northcott box office - 01392 493493 or in person at Exeter visitor info and tickets in Dix's Field. Solarference ‐ Nick Janaway and Sarah Owen ‐ perform with voices, laptops, instruments and sound objects. Their work is rooted in a repertoire of English and Welsh traditional songs, set within atmospheric worlds of transformed sounds using their own self-designed performance software. Every sonic detail of a Solarference performance is crafted and created live, as Nick and Sarah weave together layers of sound and song. Improvising and responding together, Solarference’s music is born purely of the moment and place. Their performances are interactive and theatrical; fascinating live experiences. Solarference have a track record of collaborating with other artists including animators, circus artists, dancers and theatre makers. The duo have just completed a regional tour of their live soundtrack to the 1920 classic silent film ‘Dr. Jekyl and Mr. Hyde’. in the South West of England, their unique approach to fusing traditional folk music with live electronics has been gathering a growing critical acclaim and their first album, Lips of Clay, was released in late 2012. Nick, based in Bristol, is a multi-instrumentalist and songwriter, as well as having an MSc in sound design. Sarah is a versatile vocalist from East Devon with a background in sonic art and composition. Solarference is the perfect forum for the two to bring together their love of the human voice and their fascination with live audio transformation. “Crossing into new musical territory, Nick Janaway and Sarah Owen perform their live electronic folk music to captivated crowds … a fascinating show." never feel quite the same again." “Simply Genius… the ghost of a voice singing down the ages..."